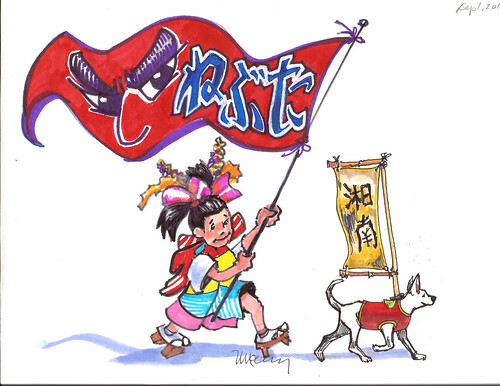 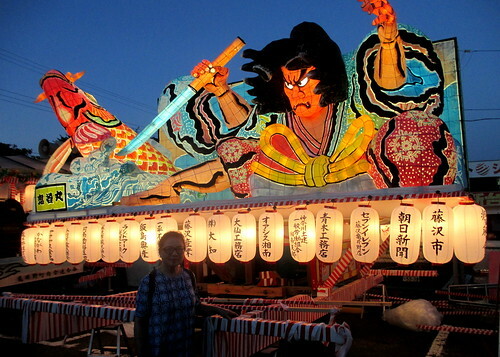 The 22nd Shonon Nebuta Festival was held at Mutsuai, a neighboring town of Zengyo. 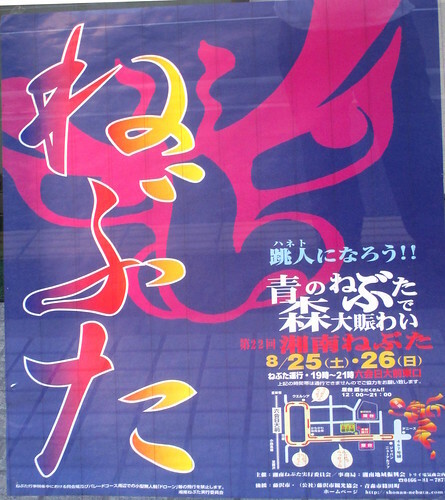 All characters drawn in Nebuta Dashimono (decorated pieces for festival) have impressive and powerful eyes. 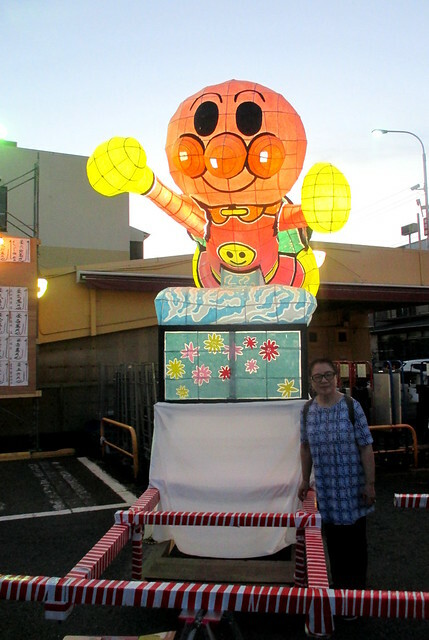 This Nebuta Festival is very comical and bright.